In the past, FileHippo.com had been a trusted source for clean downloads of hand-picked software. Well, that's over now! Sadly, they recently joined the trashnet of sites wrapping downloads in adware installers. Called "Download Manager" on their site, it is a wrapper you get instead of the software you actually wanted. 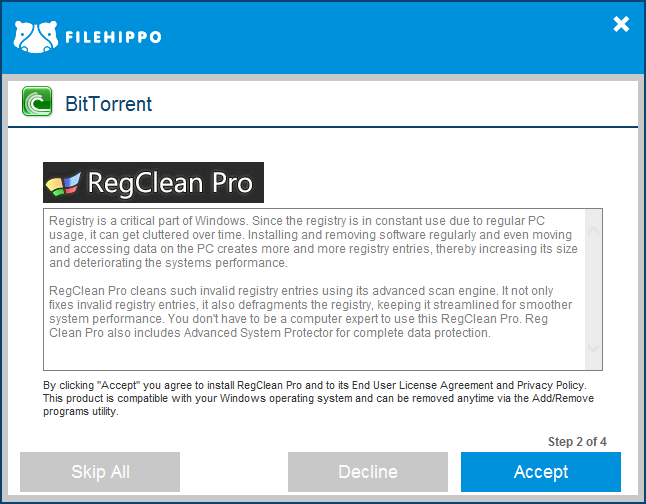 Be aware of this when downloading things from FileHippo.com! Be careful what you download and read everything carefully before clicking through the installer dialogs!